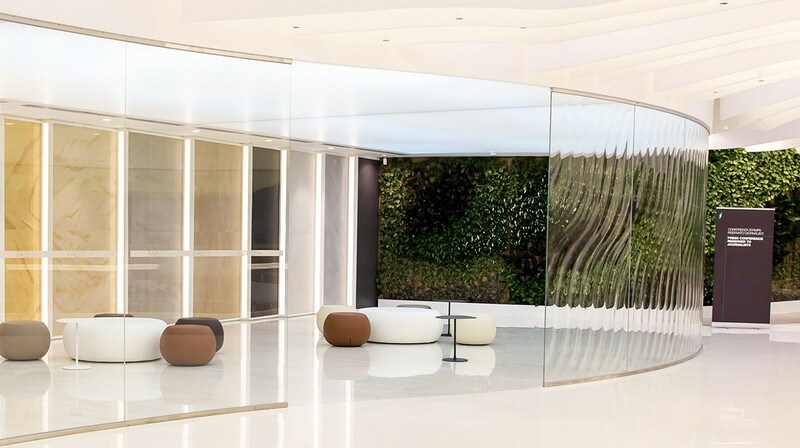 CRICURSA is glad to have met the client’s vision supplying a sleek and extremely challenging slumped (curved annealed) laminated glass for this new corporate space that will be used to welcome guests, product presentations, training sessions and events. Fiandre’s tenacity in overcoming generally accepted limits requires the incessant evolution of the company and of its products. 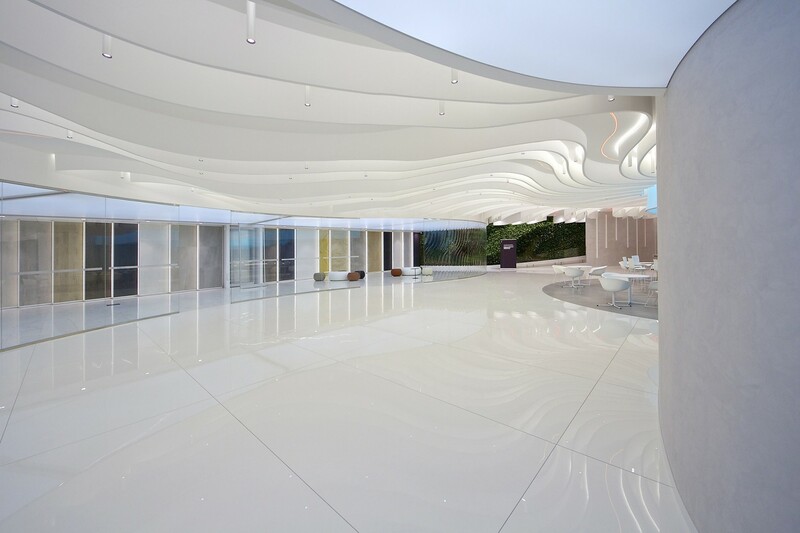 Going beyond the preconceived “two-dimension” vision of ceramic coverings, extending the scope of applications, is the latest challenge to be met. 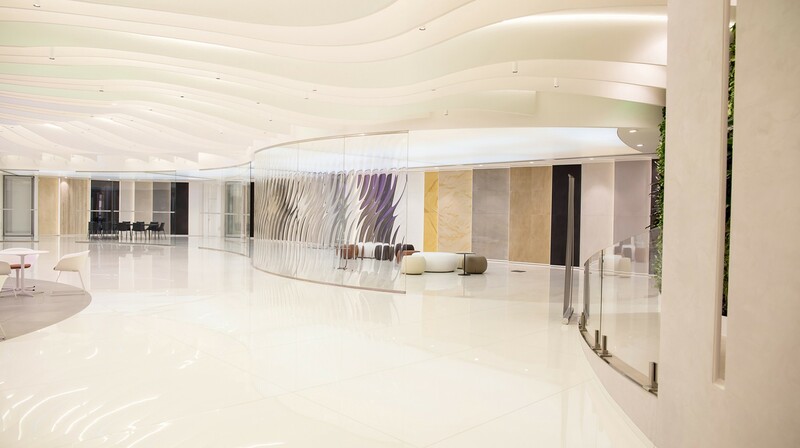 Sinuous lines and curvilinear volumes characterise a fluid space of extraordinary impact where Fiandre excellence is expressed in its highest.